The music of Whitacre, Gjeilo, Mealor, Ešenvalds and others will captivate the soul and delight the senses in the tenderness and joy of serving harmony. 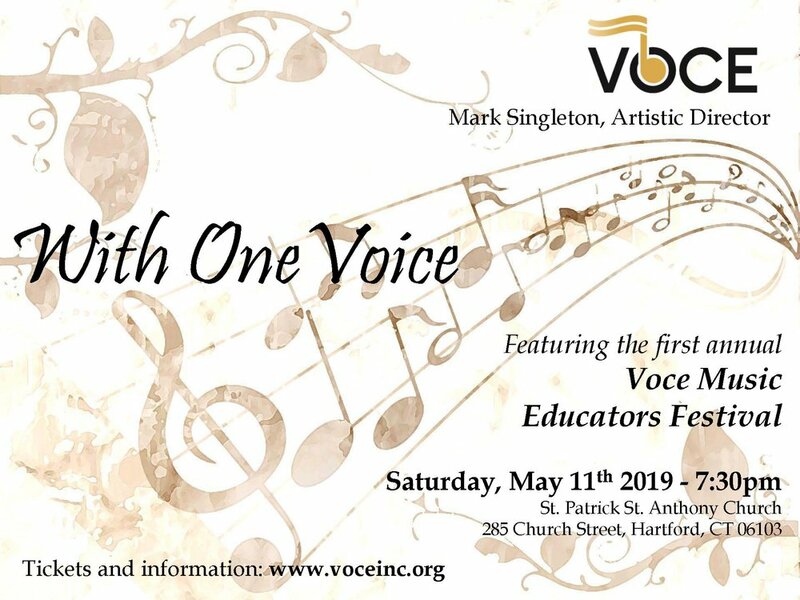 As part of our educational initiative, Voce will be joined for part of the program by students from local choirs, including Avon High School, Canton High School, The Gilbert School, East Hampton and The Canterbury School after a day of workshops with Voce! Join us as Voce culminates its season with an invitation to unity, joy, light and the collective devotion to the gift of song. Voce is not only unique in sound, but in structure - the embodiment of cooperation, shared love for the art and a commitment to success. Be transformed by a live Voce performance. Voce is being heard everywhere, be a part of the global expansion.